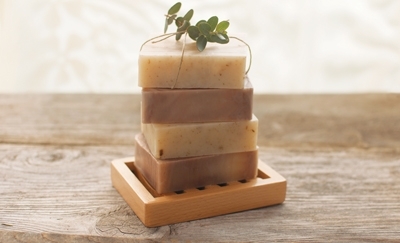 Our herbal soaps are handmade artisinal style from raw, all-natural ingredients. We use only 100% pure essential oils in our cold processed soaps. We add no parabens, sodium lauryl sulfate (or similar), unnatural preservatives, or petroleum products to our soaps. All of our soaps are Cruelty-Free and Vegan.